Contributory negligence is a legal principle that an aggrieved or injured plaintiff may have contributed to his or her injury by being negligent of the obvious and known conditions. 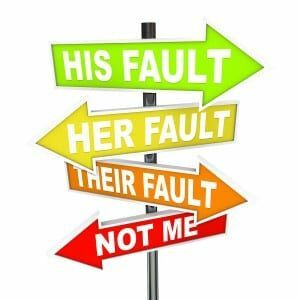 Contributory negligence in common-law jurisdictions is generally a defense to a claim based on negligence, an action in tort. This principle is relevant to the determination of liability and is applicable when plaintiffs/claimants have, through their own negligence, contributed to the harm they suffered. It can also be applied by the court in a tort matter irrespective of whether it was pleaded as a defense. For example, a pedestrian crosses a road negligently and is hit by a driver who was driving negligently. Since the pedestrian has also contributed to the accident, they may be barred from complete and full recovery of damages from the driver (or their insurer) because the accident was less likely to occur if it weren’t for their failure to keep a proper lookout. Another example of contributory negligence is where a plaintiff actively disregards warnings or fails to take reasonable steps for his or her safety, then assumes a certain level of risk in a given activity; such as diving in shallow water without checking the depth first. In some jurisdictions, the doctrine states that a victim who is at fault to any degree, including only 1% at fault, may be denied compensation entirely. This is known as pure contributory negligence. In the United States, the pure contributory negligence only applies in Alabama, the District of Columbia, Maryland, North Carolina, and Virginia. Indiana applies pure contributory negligence to medical malpractice cases and tort claims against the state government. In some jurisdictions, the defendant has to prove the negligence of a plaintiff or claimant. In others, the burden of proof is on a plaintiff to disprove his or her own negligence. Even if the plaintiff was negligent, the tortfeasor may still be held liable, if he or she had the last clear chance to prevent the injury. The doctrine of contributory negligence was dominant in U.S. jurisprudence in the 19th and 20th century. The English case Butterfield v. Forrester is generally recognized as the first appearance, although ironically in this case the judge found the victim to be the sole proximate cause of the injury. Previous story Why the presumption of innocence is so important?